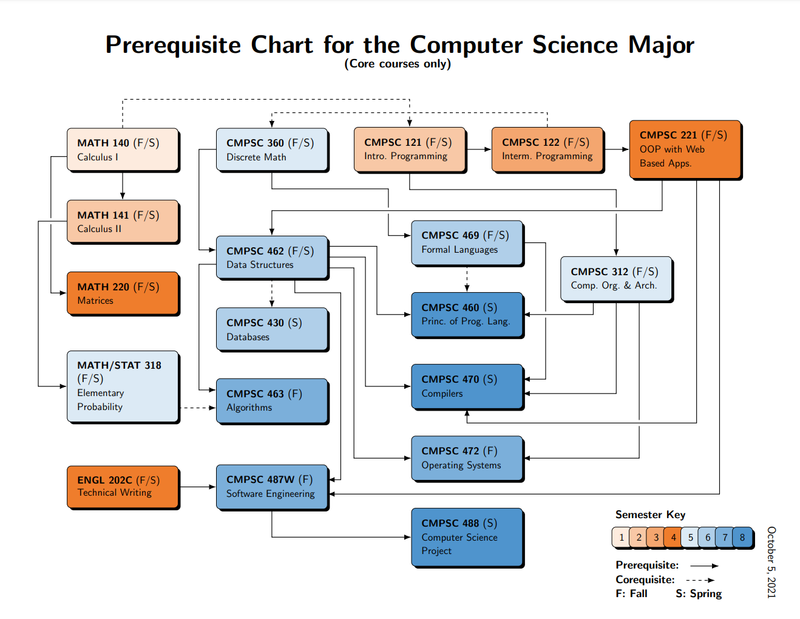 The prerequisite chart is also available in pdf. Note: The students admitted to the program before Summer 2013 should use this chart. Note: The students admitted to the program before Fall 2010 should use this chart.